The fact that sodas contain high sugar content cannot be denied although these bubbly drinks are deliciously enjoyed by several people. Sodas are assumed to have empty calories which may only make you gain weight over time. What’s the Sugar Content of Coca-Cola? Although sugar content is not clearly mentioned in the ingredients list of soda drinks, it is the second most important ingredient after carbonated water. Companies often use high fructose corn syrup as an alternative to sugar as it costs less. Applying a general rule, every 100 ml serving of Coca-Cola contains 10.6 grams of sugar. However, different sizes are mentioned with the sugar content to know what size exceeds the limit. A12 ounce can contain 39 grams of sugar which equal around 9 and a third teaspoons sugar. Sugar is never on a recommendation list as it does not provide the body with nutrition and only raises the glucose levels in the blood to cause harm. Although it is still considered okay to indulge sugar once in a while for pleasure. The smallest serving size of 7.5 ounces contains 25 grams of sugar which will still exceed the limit for women if they’re having other foods containing sugar as well. However, once in a while will do no harm, make sure you don’t get into a habit of drinking too much. How is Coca-Cola System Reducing Sugar in its Products? The Coca-Cola system has been working on reducing the sugar content in its products so as to optimize their credibility. 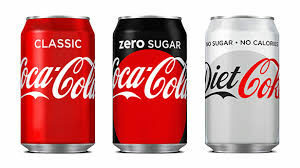 The low sugar Coca-Cola has been made popular to meet the needs of people with clearer packing labels to mention the content of sugar in Coca-Cola. The mini serving size of 150 ml was launched in 2013 as less sugar intake is the cause of concern for people nowadays. Moreover, sugar alternatives like stevia plant extract are being used to replace high sugar content in the product with natural sugars. The Coca-Cola company is making its customers enjoy its product with relatably less sugar content in this way. What is the Maximum Intake Allowance of Sugar? The maximum intake allowance of sugar per day is 25 grams for women and 38 grams for men. This shows that a regular can of coca-cola will cross the daily sugar intake regardless of your gender. However, people have been drinking more than a can of sodas each day without realizing its effects on health. Not only sodas count in for daily sugar intake but other foods will also contain sugar which will further cross its limits. The biggest offenders of the dietary guidelines for Americans are the company manufacturers of sugary drinks and sports drinks that contain high amounts of sugar. There can be alternatives for soda drinks to save yourself from empty calories and in turn consuming something nutritious. The fact that body craves sugar once it gets used to it cannot be denied and that can be worked upon with wisdom. Soda drinks containing incredibly high amounts of sugar have nothing to offer from the minerals and vitamins list and so they should be avoided at any cost. Why not start swapping every other coca-cola can with a soda water spruced with a juice of your choice. You will need time to adjust to the taste but you will get better as you realize how important this switch is for your good health. If you’re having a soda drink even after that, make sure you indulge a smaller serving size to take less sugar in. Also, there are options for diet coke available that contains less sugar and fewer calories as compared to the original one.